After getting confirmation from Tim Sweeney, CEO of Epic Games, we now know Fortnite Battle Royale will not be available on the Play Store when it's finally released for Android. Instead, users will have to download the APK directly from Epic Games' website — and quite frankly, this is a bad idea. By not distributing on the Play Store, Epic Games is increasing their chances for a number of problems. The big one is malware, where users will unknowingly download fake copies of the game's APK, leading to unintended consequences such as the loss of their data. It also complicates the procedure unnecessarily for new Android users who don't know about sideloading. Updates will also be an interesting process, since sideloaded apps can't be automatically updated via the Play Store. Instead, Epic Games will have to come up with a workaround. Also, Google's built-in provisions for in-app purchases will not work, which is very important for a game whose revenue comes primarily from in-app purchases. For all the complication and confusion, it simply doesn't make sense. CEO Tim Sweeney spoke with The Verge regarding their decision to forgo the Play Store. According to Tim, Epic wanted to maintain a direct relationship with their customers wherever they can. 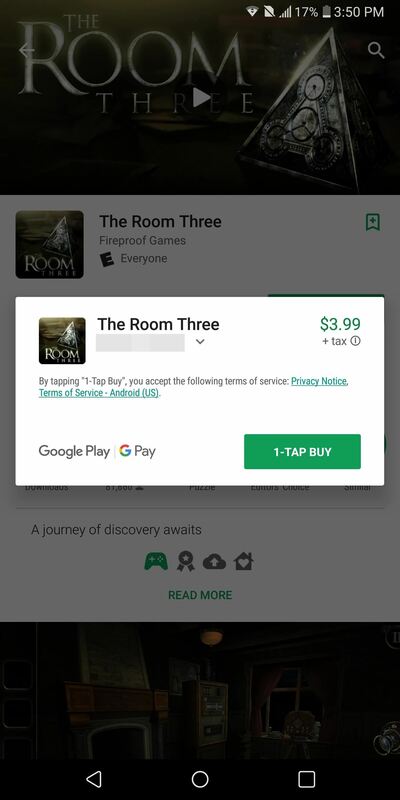 Secondly, Epic didn't want to pay Google's 30% fee for all in-app purchases if they were to place the app on the Play Store. The first reason is based on the idea that whenever Epic could go the direct route, they did. Both PC and Android don't require games to be hosted on the central distribution platform (Steam for PC and the Google Play Store for Android), and in both situations, Epic Games has created their own direct pathways. The second reason is based on the idea that since Fortnite Battle Royale is free on all platforms, all their revenue is coming from in-app purchases — specifically V-bucks, which allow users to buy cosmetic items such as outfits, backpacks, and pickaxes. This strategy has been a huge success. In only 90 days of releasing the iOS version, they were able to reach $100 million in sale, the second-fastest app to do so behind Clash Royale. While it's easy to understand the reasons, the benefits don't outweigh the problems they are introducing by going this route. 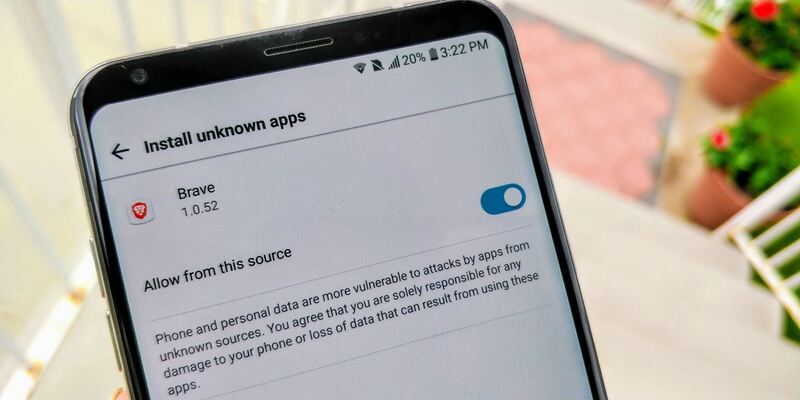 While for Android power users, sideloading may seem like a simple process that you've done countless times, it can be somewhat complicated for new users. Just like when the game was first released on iOS, Fortnite Battle Royale for Android will bring in new users who aren't as tech-savvy as others. Even with perfectly laid-out instructions, mistakes can be made. But what is more concerning is the danger of sideloading in general. One of the main reasons Android disables the feature by default is because apps outside of the Play Store can be malicious. APKs can come from any source and be posted by anyone. While the majority of the Android community are wholesome people who try to help new users, there is a portion of people who use Android's open-source nature for their own benefit. They can create fake apps that look like the real Fortnite game but are, in fact, something else. Whether they fill it with ads to make a profit or steal users' data to sell on the black market, there are a number of ways to take advantage of this situation and cause harm to potential new mobile Fortnite users. While the Play Store isn't perfect, it is a much more secure place. 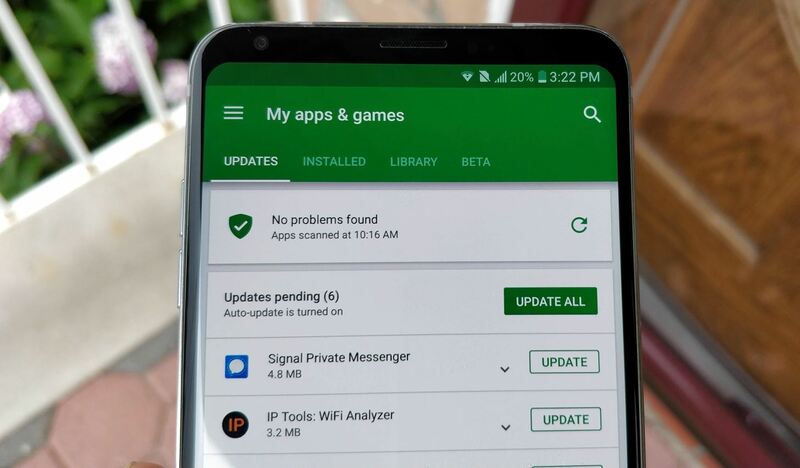 Google would be able to pull any fake apps masquerading as the real game and perform antivirus scans continuously to make sure the APK hasn't been modified by a third-party. Users reviews can steer people away from well-made duplicates which are in fact not the official game. A counter-argument can be made that, since Epic will be hosting the game on their official site, even the most novice users will know to get the APK directly from the official source. While this may be true, introducing the masses to the concept of sideloading without fully educating them on the risks can still cause problems with other APKs. 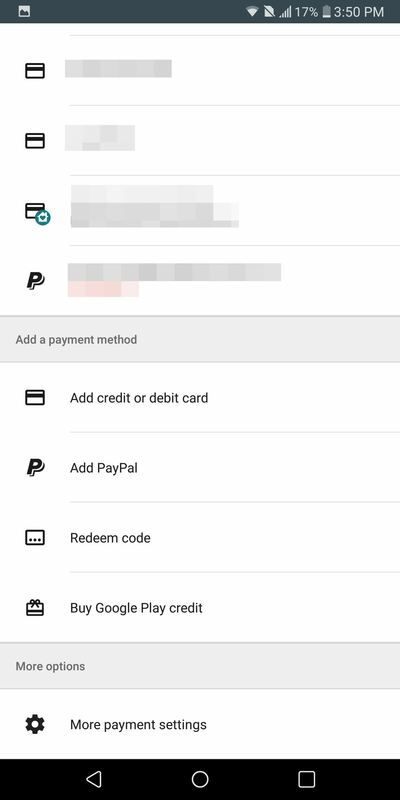 With the Play Store, Android allows its users to save their credit card or debit card to their account for in-app purchases. This method is convenient, as your personal financial information is protected by Google but easily accessible whenever you need to make a purchase. You can even securely add third-party solutions such as PayPal or your carrier billing. However, sideloaded apps don't have access to this ability. Instead, you have to rely on the app's implementation for in-app purchases. You'll have to trust Epic Games, which is likely to offer fewer options for payment methods. And since the payment only works for Fortnite Battle Royale, it isn't as convenient as Android's built-in solution. Just like sideloading, this adds unnecessary complication to the process. New users probably already have a credit card or account saved to their Google account, but now they have to redo this process for Fortnite just because Epic wants to avoid a 30% charge. Things get even more worrisome when you consider the fake APKs that will inevitably be floating around the internet. If you have to enter credit card information in the game, a well-made fake could easily empty your bank account. When an app is hosted on the Play Store, developers simply upload updates to Google's servers. The Play Store will inform users of the update, and depending on your settings, will automatically update the app for you. It is simple, fast, and designed so that even beginners will not get confused. But with sideloaded apps, you can't auto-update via the Play Store. Instead, Epic Games will have to find a workaround. It's possible they'll build this functionality into the game, but they may find it simpler to release a standalone Fortnite Updater app, which would be another app you have to sideload (and another attack surface for malware). Even if they build updating functionality into the Fortnite app itself, the process won't be automatic. You'll still have to open the updated APK file and expressly tap "Install," as Android won't let non-system apps install updates for you. Then there's another wrinkle for devices running Android Oreo or higher. Since you'll be downloading the game from Epic's website, the new sideloading permission will have to be granted to your browser. But unlike past Android versions, this permission isn't system-wide, it's per-app. So after enabling your browser to sideload the game, you'll also have to grant this permission to Fortnite itself to be able to install updates that were downloaded through the game. Google is now requiring all new apps to target Android Oreo. This means they must take advantage of several new features introduced in Android 8.0, including better use of background data, improvements to security, and improved user control for notifications (known as Notification Channels). If Epic Games posted their app on the Play Store, it would have to abide by this rule and the host of other regulations required by every app on the Play Store. Instead, they can, for example, target a lower version of Android to save themselves time. Right now, Android Oreo is only installed on 12.1% of Android phones. By not targeting Oreo, they can avoid the hassle of implementing features that only a handful of users will be able to take advantage of. However, both targeting Oreo and the other rules of the Play Store are designed to protect you. Apps in the Play Store are subjected to a list of rules that, if broken, can lead to it being pulled. Targeting Android Oreo protect you against malware, as apps have to be built using the latest security tools. With sideloading, you instead must trust the developer to do the right thing. Perhaps the biggest drawback to this whole scenario is how it's paving the way to further Android fragmentation. With Fortnite being as big as it is, other game developers will be paying close attention to how this works out for Epic. If it starts looking like users are okay with sideloading, game studios won't be as worried about missing out on potential customers by not hosting their wares on the Play Store. In fact, we could be headed for a future where Android's official app store is an afterthought. Bigger games could follow suit by launching first on iOS, then using the hype from iPhone users to promote an APK download on their site. An extra 30% profit is plenty of motivation. On the surface, Google losing some of its tight grip on the Android ecosystem might sound like a good thing. But if they start losing money because of this, they'd be motivated to make sideloading as hard and convoluted as it is on iOS. Epic Games is already forced by Apple to use the App Store for many of same reasons we mentioned here, so why not just do the same with the Play Store, even though you have options not to? What do you think about Epic Games' decision? Let us know in the comment section below. News: My Baby is Black!